You know, we've been together for a long time. You've held me down night in and night out, protecting me and keeping me covered. I can honestly say you're my day 1. Even when I got my satin pillowcase, I kept you with me because I knew in my heart that I still needed you. But lately, I've been feeling like we aren't quite seeing eye-to-eye. You've changed, and I feel like we're growing apart. Or maybe it's just that I've outgrown you. You know what they say, everything has a season. Maybe our season is over. Even though this seems like the end, just know that we'll always have memories. Nothing can ever replace what you've been to me over the years. I'll still need you from time to time, so I hope that I can find you when that time comes. I hope you understand. You'll always be in my heart, and in my drawer. Okay, let me explain. 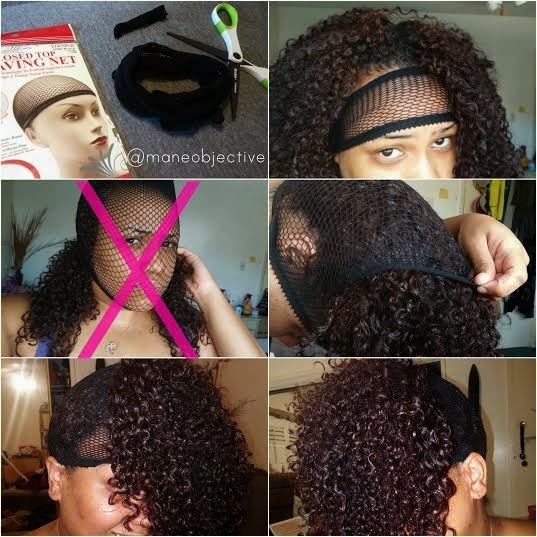 I read a few weeks ago on Shelli of Hairscapades' blog about her repurposing a net wig cap as a way of allowing her to sleep in styles that need to dry and set overnight, while leaving the roots smooth. I hated the results. I mean, the thing worked. Too well, in my opinion. My roots and the top of my head were flaaaaaaaat. It just seemed...weird. So I nixed that idea. 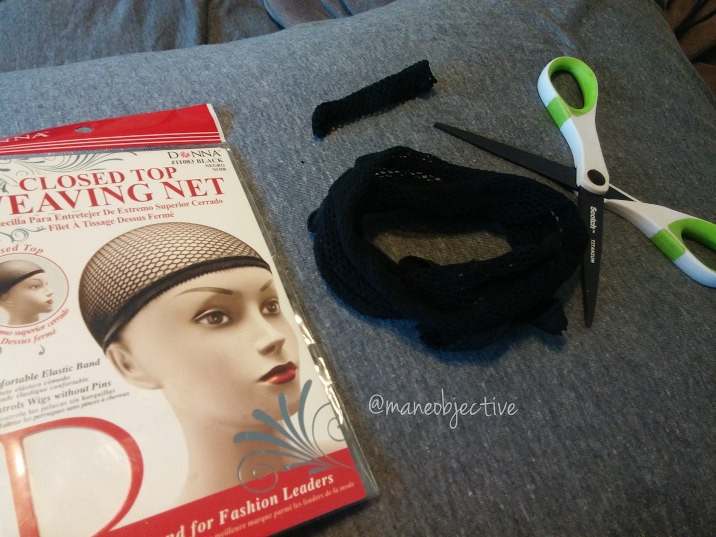 Then I read Shelli's comment on my Instagram about using the hole in the wig cap (or in my case, cutting one in) for a bun or ponytail. Then the idea came to me: what about using this thing to pineapple overnight? Turns out, I had my own mini streak of genius. I've been annoyed with my scarf pineapple lately, because if I tie it too tight, it stretched my already naturally loose back half too much. But if I tie it too loose, it slips off into the worst sort of pointless scrunchie ever, leaving the entire back of my head free to tangle and be trifilin'. My only saving grace is that I sleep on a satin pillowcase as well. 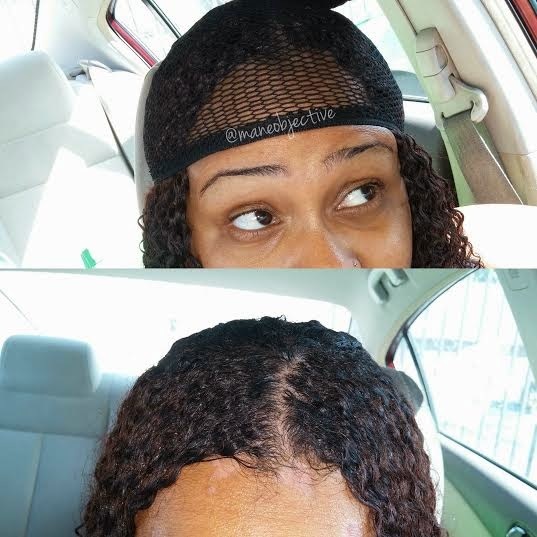 Next, pull it over your head and look like a struggle version of On The Run. I'm kidding, Just open the thing up like a donut, and pull it over your head with the band at the bottom. Pardon my expression. I really am not "over it" as my eyes would suggest...lol. Make sure you pull your hair through the opening, and position it like a headband to get started. 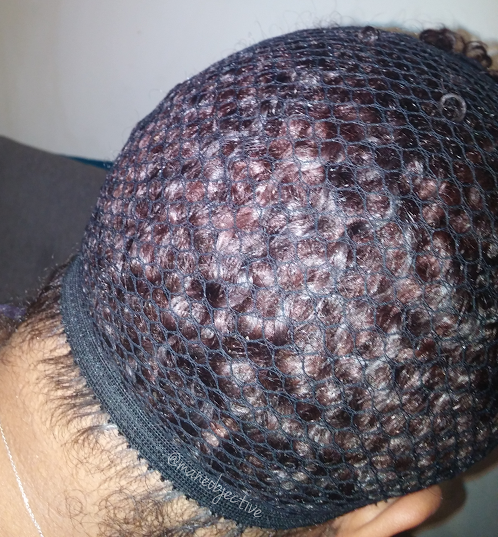 Pull the open part of the net over the back of your hair first, to create that forward-gathered pineapple business. 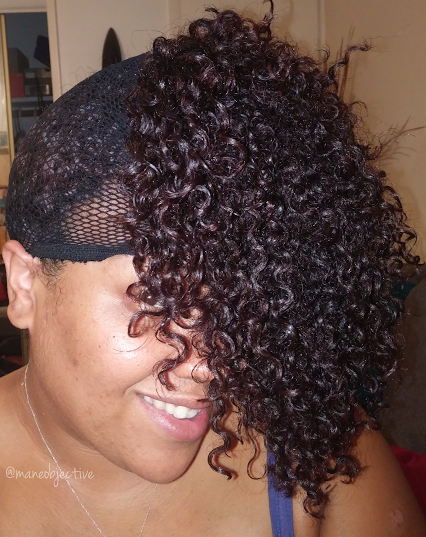 The curls are held together and protected, and the band keeps it from slipping off in the middle of the night! 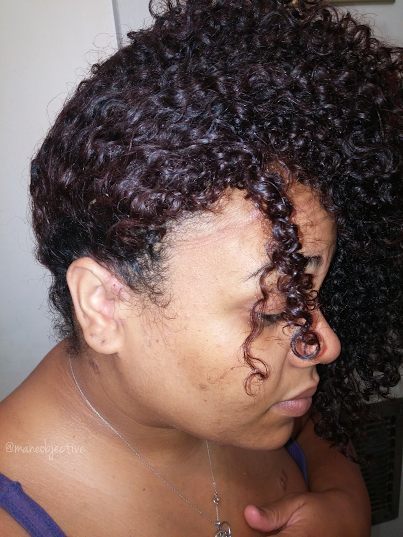 When I removed the wig net the next morning, this is how my curls looked before I shook, fluffed, and pulled them down. 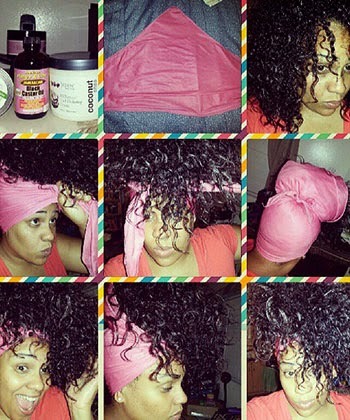 By the way, if you're going to do the wig net pineapple, make sure you have a satin pillowcase! The net doesn't provide the full protection from cotton pillowcases that the satin scarf does, so you'll definitely need to keep that in mind. 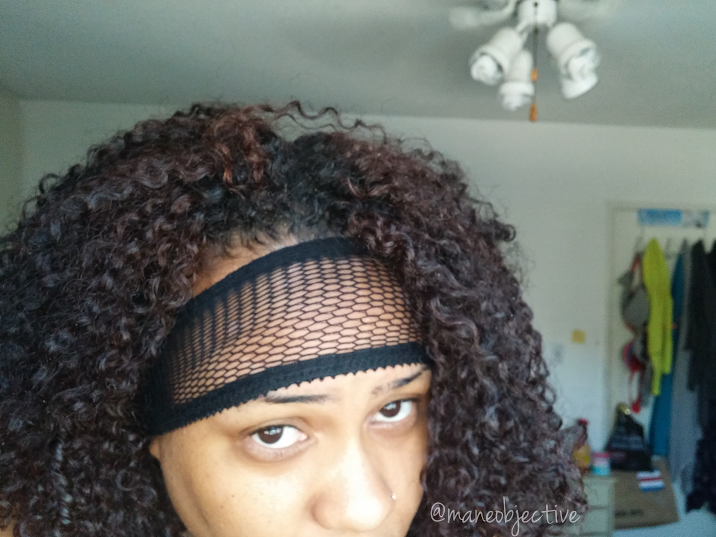 All the net does is keep the curls in place overnight. Let me know in the comments if you'll be trying this out. Much <3 to Shelli for the idea! genius! I'll be trying this! I had to come back and comment. I've been trying this for a week now, and it has been awesome! I'm at that weird stage where my hair is bra strap length straight, but It is still difficult to pineapple my hair because the back is always coming out. 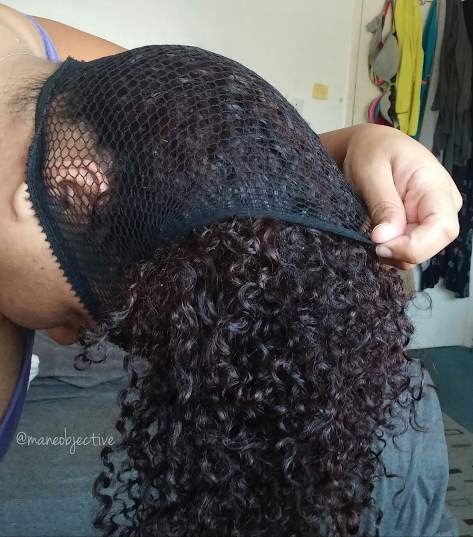 This keeps the back of my hair from tangling, which is major because I always know that it is going to be an issue on wash day. Up until now my curls NEVER lasted more than 3 days...like...ever!!! Thank you for sharing this. I know that it is going to be a must have in my routine this year. Yes I need this in my life. You are brilliant! It is easy to find stylish and fascinating synthetic lace wigs in the market, but I always like to prefer quality over price. After all, I should feel easy to wear the wig for several hours, while partying with friends and clicking selfies with them.